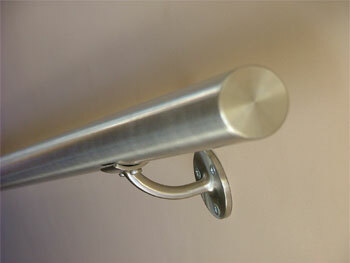 Gallery Metalworks offers a large variety of brackets used to attach railings to walls. Railings adopt the structural strength provide by the brackets holding them in place. Our selection of brackets supply strength, functionality and support. Some design options include materials, finishes, coatings and sizes. We also specialize in custom manufactured brackets that follow customer specifications. Please contact us with unique design needs and questions about our products.